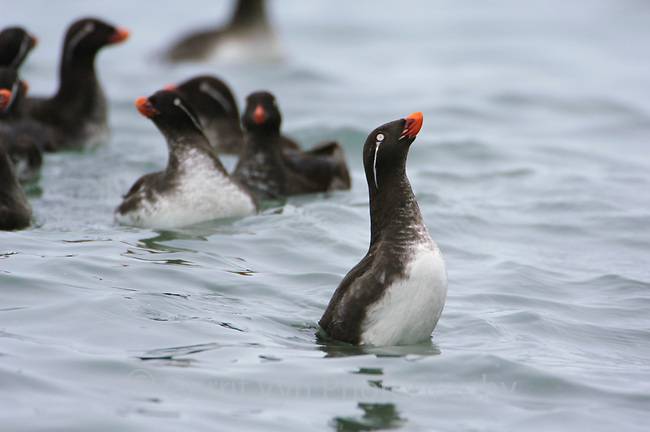 Displaying male Parakeet Auklet (Aethia psittacula) displaying during courtship. Duck Island, Alaska. July.